In New Zealand, a series of books published by the Ministry of Education (MoE) to help Pasifika children with literacy has won the Pacific Service Excellence Award, as part of the 2018 SunPix Pacific Peoples Awards. 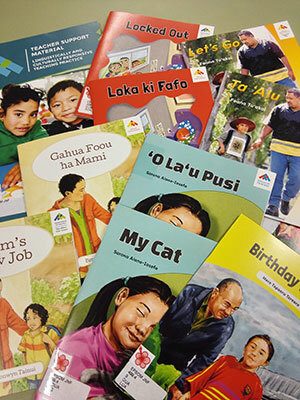 Launched in 2016, the ‘Pasifika dual language resources’ series is a collection of 123 flip-books with stories in either Cook Islands Māori, Tuvaluan, Tokelauan, Tongan or Samoan and then translated into English on the other side of the book. ‘We know one of the best ways we can teach literacy to young people who do not have English as their first language is to leverage off the language they already have literacy in,’ said MoE deputy secretary of early learning and student achievement Ellen MacGregor-Reid in a statement. MacGregor-Reid said MoE has been working closely with Auckland University, Auckland UniServices, LIFT Education, and a number of schools through the Pasifika Early Literacy Project to produce the books. ‘We hope this award means more schools and families are aware of these books and they take the opportunity to read them,’ said MacGregor-Reid. Presented in Auckland earlier this month, the Pacific Service Excellence Award celebrates an organisation that makes an important contribution to Pasifika communities in its work. Ministry-approved education providers can order the Pasifika dual language resources free of charge from the MoE’s Te Kete Ipurangi (TKI) web platform.